As noted in a previous blogpost, in “Fowl are Fair on Day 5”, the Holy Bible’s “partridge” (which is mentioned in 1st Samuel 26:20) is a type of galliform (i.e., chicken/partridge/quail/pheasant/turkey/peafowl-like ground-dwelling bird. Other examples of galliforms include the partridge-like birds we call “grouse”. (See also “Rock Partridges: Lessons about Hunting and Hatching”. The RED GROUSE is a variety of fast-flying WILLOW PTARMIGAN, often camouflaged within Scotland’s heather scrublands, sporting reddish-brown plumage (with white feathered legs underneath, that somewhat resemble rabbit feet! ), yet accented by scarlet “eyebrows”. It is often hunted in Scotland, by humans as part of a regulated sport, as well as by birds of prey, to the extent that they are present in Scotland heather moors. 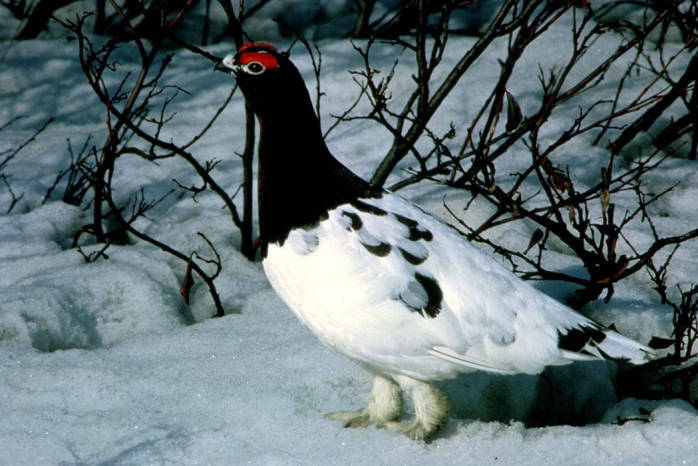 In fact, the Willow Ptarmigan is Alaska’s official state bird, specifically the winter-white-dominated Lagopus lagopus alascensis variety. The reddish-brown plumage of the RED CROUSE is well-suited for residing in the heather fields of Scotland. Of course, despite its helpful camouflage, the Red Grouse is a resident well known to Scottish Highland hunters! Of course, as a wildlife photographer, Niall Benvie is bothered by human intrusions into the “wild” world of this tranquil ground-fowl. If the Red Grouse doesn’t bother humans, why should humans interfere with the Red Grouse’s habitat in the Highlands? Yet this perspective has its flaws, as the following anecdotal report (from Niall Benvie) illustrates. “But the grouse, rather than [squawking] loudly and whirring off over the moor, began walking up the road to meet her. He [i.e., the Red Grouse] pecked furiously at her [shoe]-laces, and she bent down, picked him up and held him in her arms! She was the local keeper’s wife [i.e., game warden’s wife], and [she] knew this first year bird well [and obviously the bird knew well that he could trust her to pick him up caringly]. Although that one-year-old Red Grouse was “wild”, it obviously remembered some kind of kindness form the game warden’s wife. So much for condemning the meddling “interference” of kind-hearted humans! 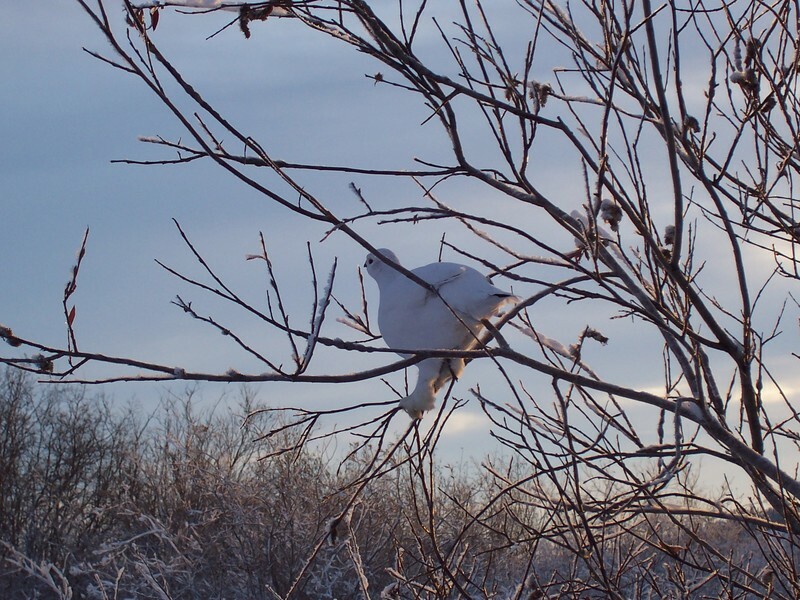 Since so much of North America is having such a cold and snowy winter, thought that you might like watching a Willow Ptarmigan in its winter outfit. Lesley the Bird Nerd produced this YouTube and thought you might enjoy watching how the Lord has prepared this bird to survive in winter. We are going to drop down to freezing the for a few nights here in Central Florida, but nothing like what many of you are experiencing. Stay warm and enjoy the Lord’s Creations.